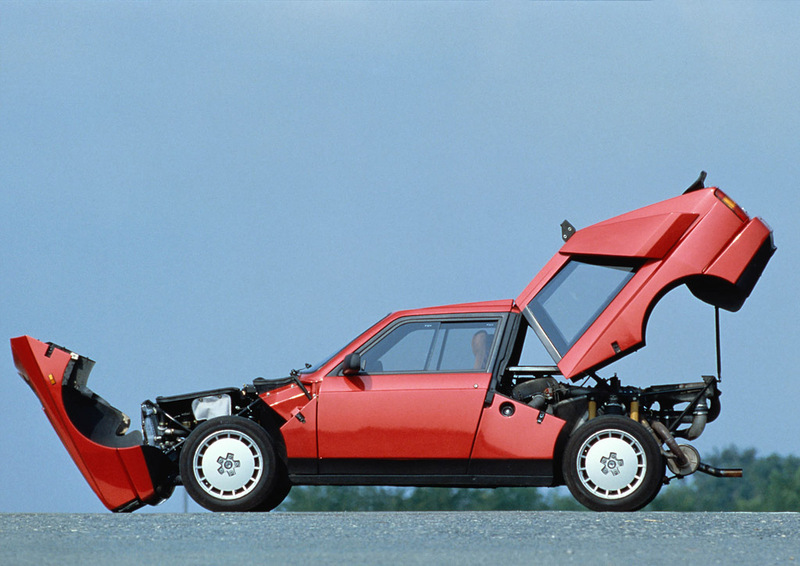 Built as a road going version of Lancia’s Group B contender, the Delta S4 Stradale possessed all the radical traits of the race car it was made from. This included the interested dual-stage induction which included both a supercharger and turbocharger. Although detuned for the sanity, this system catapulted the Group B version to 600 bhp and zero to sixty in less than two seconds. Two hundred S4 Stradales were required and built for homologation, and no doubt many were taken from the road right back onto into motor sports. Very few cars remain unmolested; especially considering a removing the air restrictors and a changing a few adjustments doubled the available power.